West Michigan Fall Color Driving Guide. Michigan is breathtaking in the fall! Michigan fall color frames the historic St. Joseph Michigan lighthouse. This Michigan season can only be described as breathtaking. Imagine millions of trees painted in their best color of golds, oranges and reds. The fall trees stand proud as if to say "look at me". 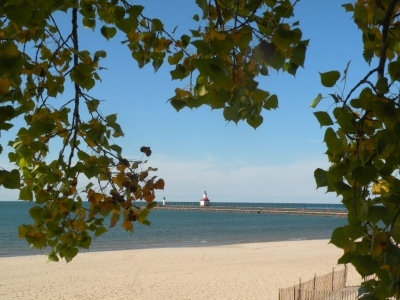 You'll enjoy a very special time of year along Lake Michigan. The crisp air and fall leaves add a romantic charm to day trips and getaways. 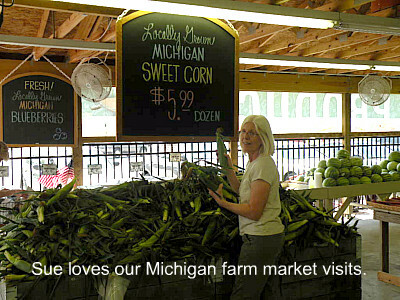 The roadside stands are busy and full of Michigan's seasons harvest. Fruits and vegetables, offered by proud farmers who have generations of family history to share with you. The vineyards are being harvested which makes it a great time to visit a Lake Michigan winery. Yes, it's fall in Michigan ... my families favorite time of year. Fall color Hotlines you can call to stay up to date and help plan your trip. The Michigan hotline number is 800-644-3255, and the U.S. Forest Service Fall Color Hotline is 800-354-4595. 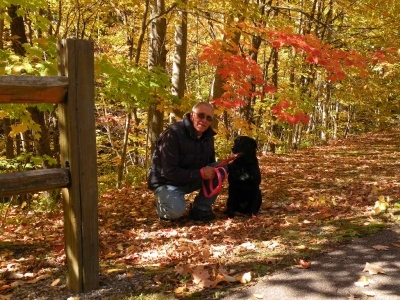 Go to northern Michigan color scenic drives. Go to western Michigan color scenic drives. Tell Us about your favorite Michigan fall color drive. Millie loves our fall walks! There are many scenic drives along the coast that allow you to enjoy all this beauty. We have mapped out the top fall drives for the best color from the northern, to the southern areas. You should also talk to the locals. They usually know of several scenic drives off the beaten path. Timing is key as weather plays the main role in when, and how fast the fall color changes in Michigan. 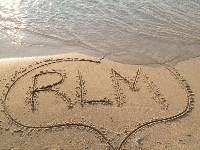 When cooler weather is here grab your Romantic Lake Michigan sweatshirtand head out. The lake water is cooler and seems to take on a darker color. The beach crowds are gone, allowing the two of you to enjoy them with only the sounds of the gulls singing in the wind. Many of the places to stay will offer their off-season rates. Take advantage of Travel Deals during this time of year. I promise, if you visit Michigan during the fall, it will keep you coming back time and time again. Have A Favorite Michigan Fall Color Drive? Tell us about your favorite Michigan fall color drive. Don't be shy. Give us all the details. Do you have a fall picture to add? Great! Click the button and find it on your computer. Then select it. From Michigan Fall Color Back To Romantic Lake Michigan home.